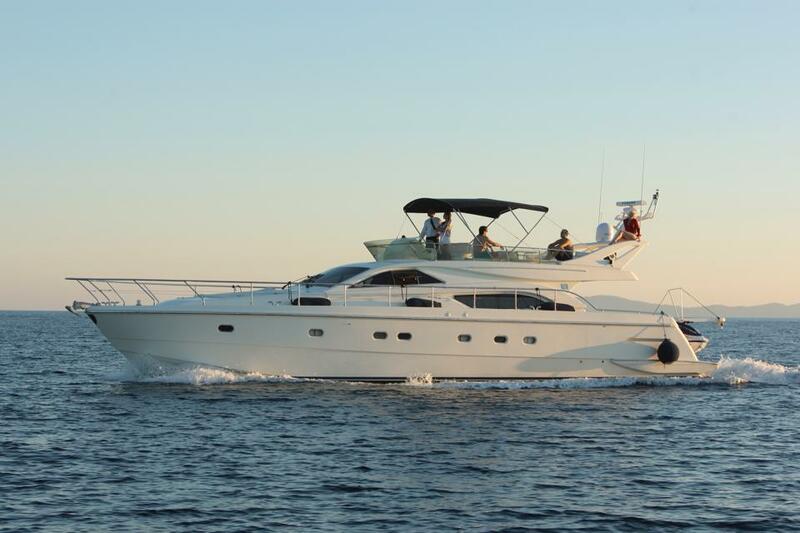 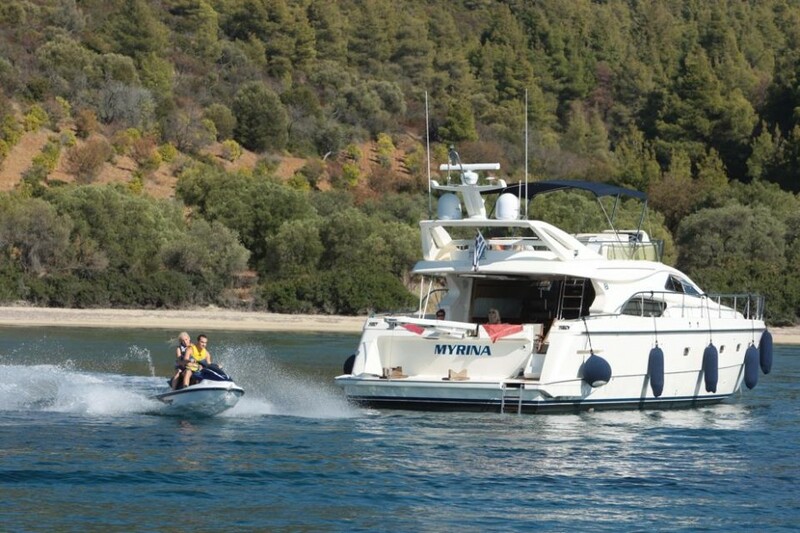 THE FERRETTI 57 Fly is an Italian luxury yacht 20m 2003 berthed in Halkidiki. 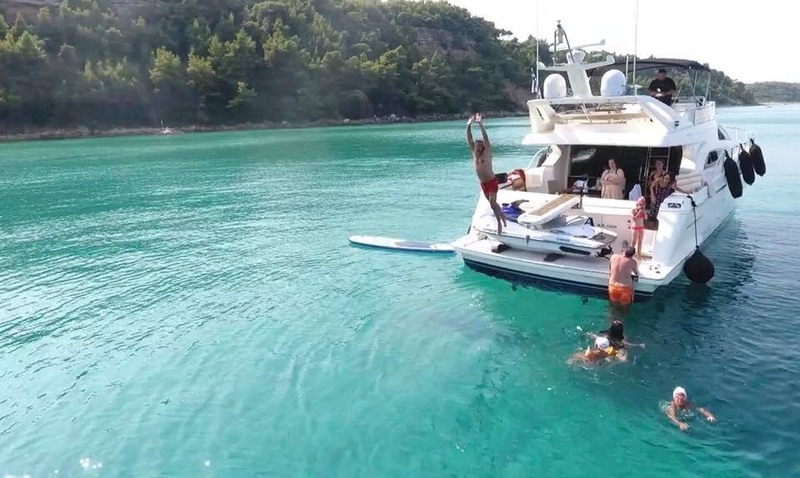 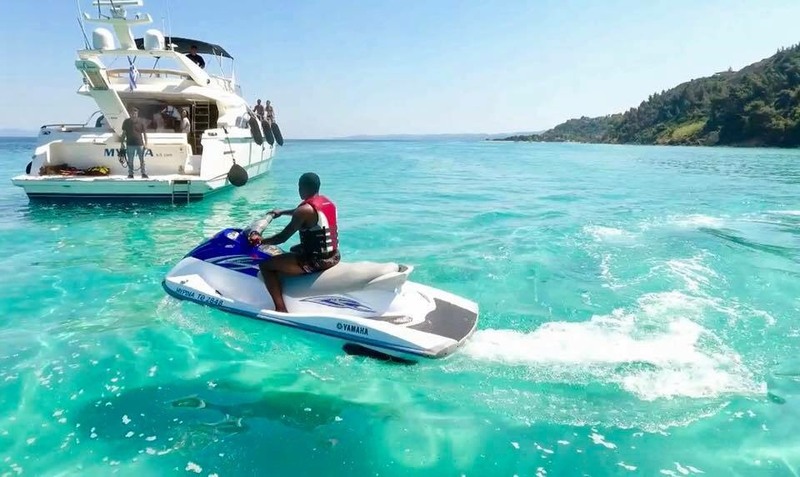 The Yacht has three luxury cabins , one Master and two cabins Guest, and two private staterooms , large living dining kitchen fully equipped large Fly bridge with BBQ. 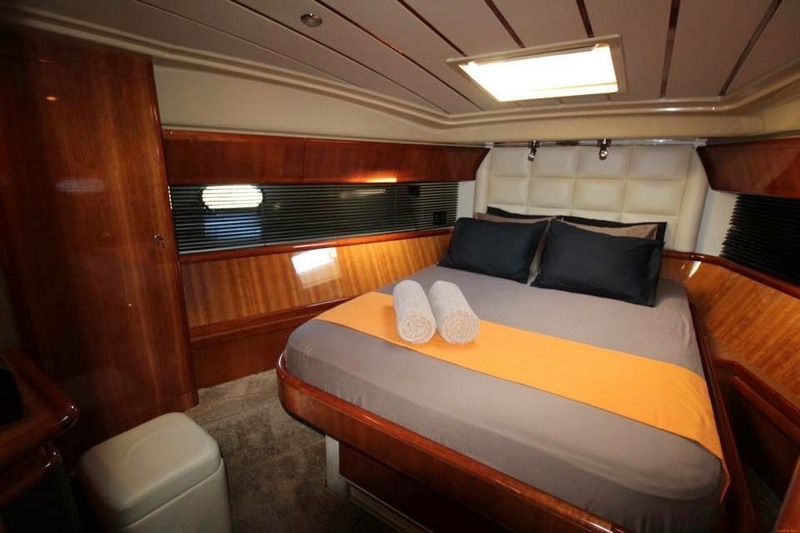 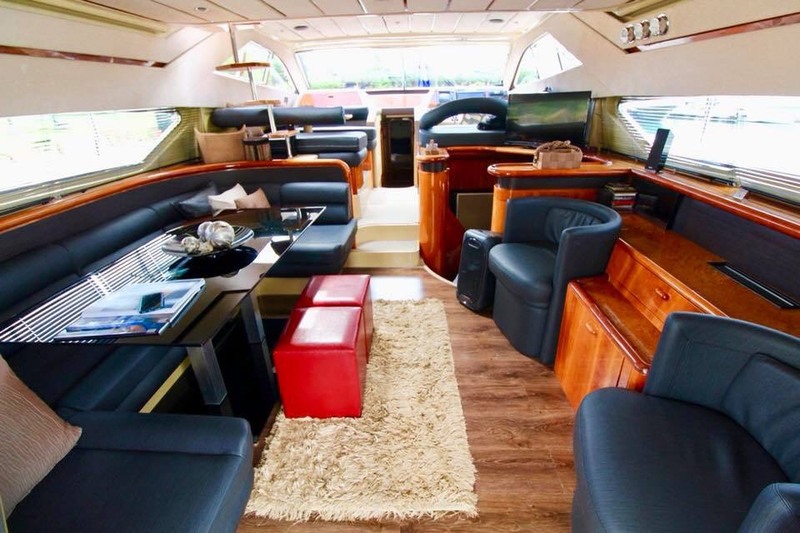 In large deck salon 12 people equipped with professional kitchen refrigerators and Icemaker, IN Fly huge sundeck and a large lounge. 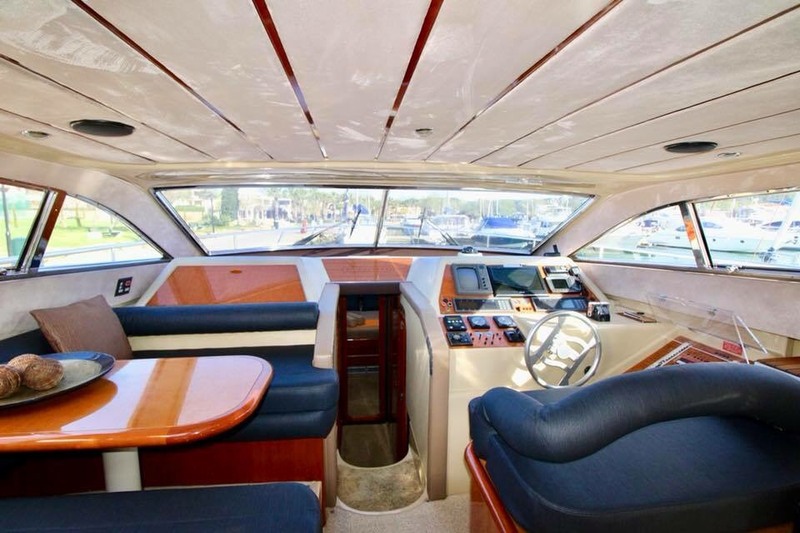 At the bow and a large sun deck access from the rails for diving off the deck. 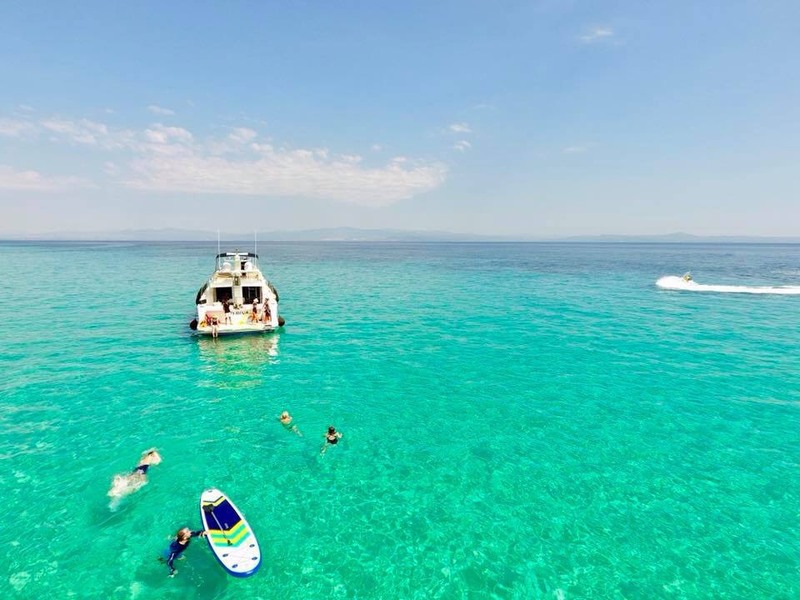 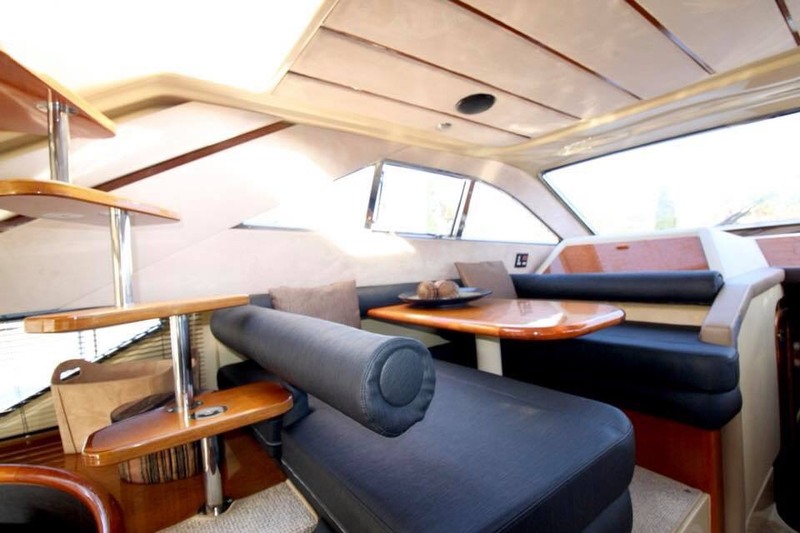 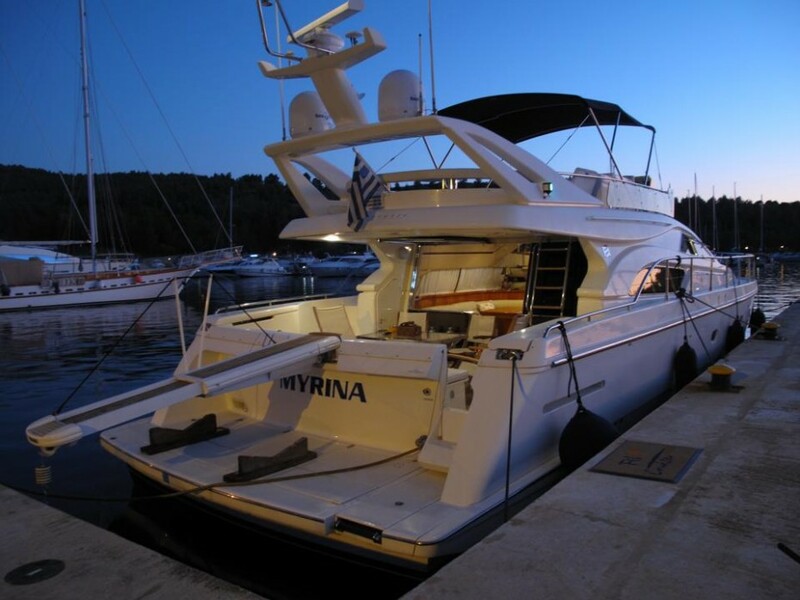 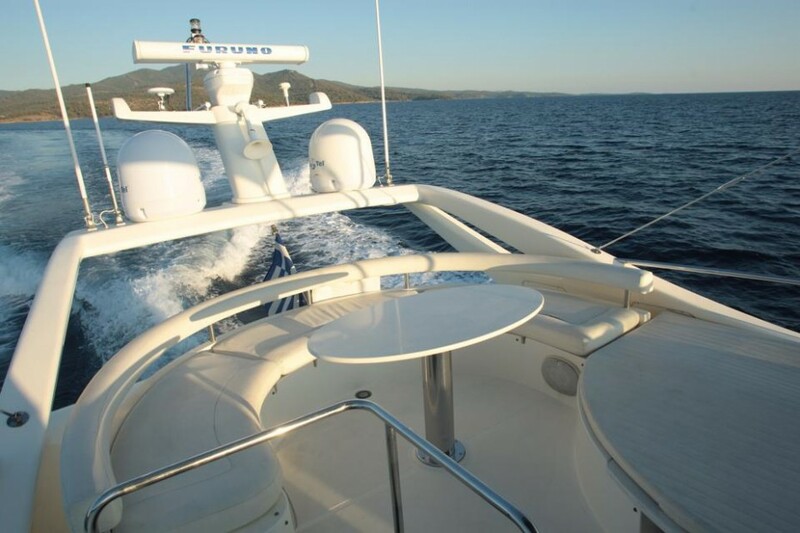 All the Yacht is equipped with the latest technology , televisions Led, Dvd, blu ray, video, playstation, washer- dryer and underwater lighting.